Beautiful chocolate brown leather 2 cigar holder. 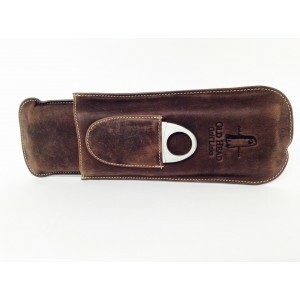 This holder incorporates a drink compartment and a cigar cutter. The ideal gift or as a beautiful holder for your cigars, a perfect accompaniment for a business trip or your golf outings.